This textbook is suitable for the following courses: Introductory Statistics (one semester). Introductory Statistics: A First Course provides a concise, coherent explanation of introductory statistics topics that caters to the needs of general education students in standard one-semester introductory courses. 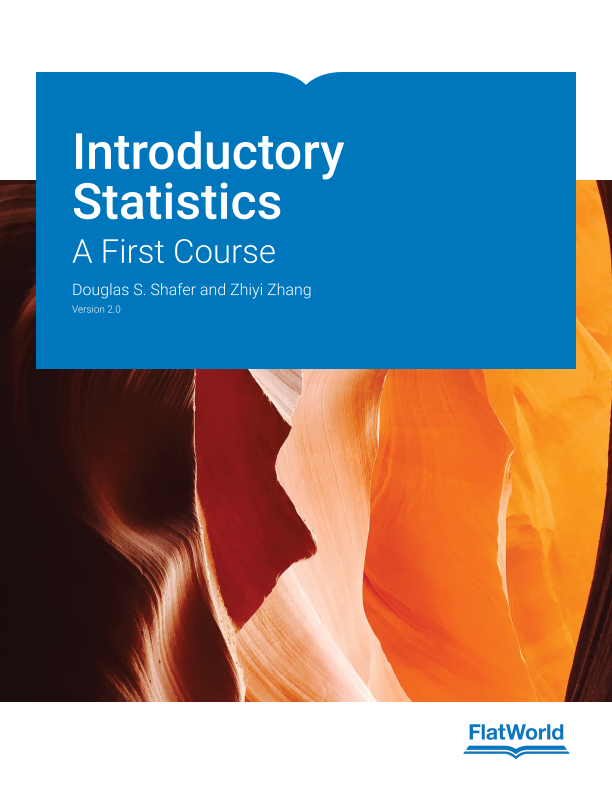 Introductory Statistics: A First Course ensures student comprehension by focusing on important core concepts and using a variety of exercises and examples to illustrate topics covered. As a result, Introductory Statistics: A First Course provides a low-cost, high-quality alternative to existing options on the market. Douglas Shafer is Professor of Mathematics at the University of North Carolina at Charlotte. In addition to his position in Charlotte, he has held visiting positions at the University of Missouri at Columbia and Montana State University and a Senior Fulbright Fellowship in Belgium. He teaches a range of mathematics courses as well as introductory statistics. In addition to journal articles and this statistics textbook, he has co-authored a graduate-level textbook in his research specialty with V.G. Romanovski (Maribor, Slovenia). He earned a Ph.D. in mathematics at the University of North Carolina at Chapel Hill. Zhiyi Zhang is Professor of Mathematics at the University of North Carolina at Charlotte. In addition to his teaching and research duties at the university, he consults actively to industries and governments on a wide range of statistical issues. His research activities in statistics have been supported by the National Science Foundation, the U.S. Environmental Protection Agency, the Office of Naval Research, and the National Institute of Health. He earned a Ph.D. in statistics at Rutgers University in New Jersey.